Not in those exact words, however gives a sense of the hurriedness around my home at times and can be pronounced this time of year. I wonder if the people in original Christmas story ever dreamed that the celebration of Christ’s birth would become so hassled and hurried. Think the shepherds had some pageants to attend? Did the wise men get all their shopping trips done and gifts wrapped? How about Mary and Joseph? Certainly there was a presence of being hurried, however I know when in the presence of a newborn I’m quite silent and settled, in awe of new life. Having grown up without a memory of a white Christmas (weather on the equator in Singapore: sunny, hot, humid, chance of thunderstorms, repeat) did not spend much time dreaming of a white Christmas either. What I do dream of is more time to do less; namely white space on my calendar. At this time of year, the significance of the season gets crowded out. There are people to see, things to do, and stuff to buy. All this overload can knock the ‘Have a holly jolly Christmas’ right out of our holidays. That’s what I thought, and applies year round. We are busy, really busy. We work hard, make more, spend more, stay up late, getting up early and always on the go. Seems life is akin to a UPS advertisement, it is all about the logistics. Unfortunately, this fast pace chase leaves us with less than enough energy, and can leave us tired, uninspired and ineffective. When you are parenting alone, it certainly takes energy. What comes to mind this time of year is this, what if we had more time to do less? In other words, do less and be more. This is not so much of a calendar question, rather one for yourself. Are you willing to do less and be more? Not just on the outside, but within? How about less chaos, more calm; less heartache, more joy; less fear, more courage; less bitterness, more forgiveness; less comparison, more self-confidence; less self-centeredness, more service; less discord, more harmony; less anxiety, more rest; less judgment, more acceptance; less disappointment, more wonder; less greed, more generosity; less discontentment, more gratitude; less stress, more peace; less social media, more friendship; less email, more hand written notes; less smart phone, more communicating; less television, more books; less mindless spending, more passionate living; less distracted, more engaged; less catch-up, more planning; less caffeine, more exercise; less tension, more patience. (Great insights by Edie Wadsworth at Life in Grace‚ as part of a series on less and more). When I honestly look at the above and attempt to answer, I have to admit in some cases I’m not willing. However I want to be willing, which is a good place to start. 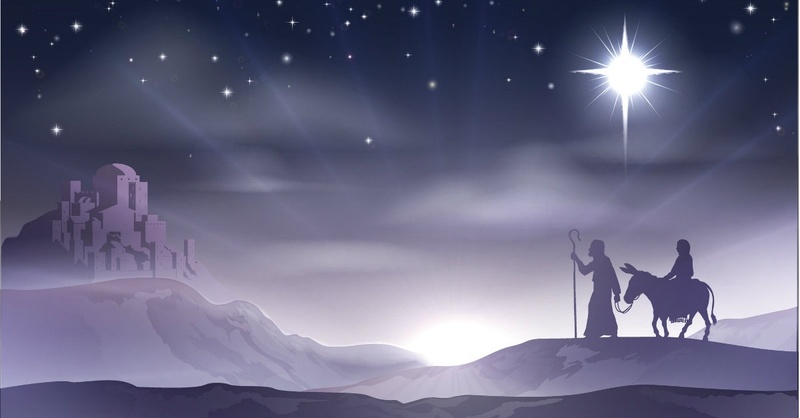 If I had been one of those shepherds that first Christmas standing in the stable outside Bethlehem, I would have been quiet and amazed. Less talk, more settled, more silent, more awe, more wonder, more gratitude, more joy. My life has been blessed with the recent engagement to my fiancé, Angela. How we met and our stories are for another blog, yet we both know it is nothing we could have planned or foreseen. One of the things I admire is her approach to each and every day, the importance of living in the present, making a difference through service, and memories with others; a zeal that is rarely seen. Just last week she shared something with me that has reinforced how the normal things can be extraordinary given the right perspective. In December 2011, she received a diagnosis of Stage 3 cancer and her odds of making it and living were much less than not. With that realization, she vividly remembers leaving the doctor’s office and hearing the sound of childrens laughter; it sounded so different to her after leaving that office, with the full realization of what she had to face. As she took each month, week, and day as potentially her last, her ears heard more than just children laughing and it never sounded the same. This got me thinking, rather than wish for what is on your Christmas list how about we look at the normal, everyday things that everybody already has. Granted it may not be much, it could be just a drum, but we can use it play our song and then watch, wait, and listen. How could our drums be used? See how God can use the storms of your life for purpose and paying it forward for somebody else. See how God can use your voice or words to speak words of encouragement, love, forgiveness, or hope to others. See how God can use your arms and hands for acts of kindness toward others. See how God can use your keen sense and discernment to observe the needs of others. See how God can use an attentive ear to listen and be there for the pain and fear in the lives of others. As The Day Everything Changed reminds us, we all can be the little drummer boy, and the most normal of things become miracles of God. My Christmas wish is that in the midst of the holiday hustle and tasks, we could slow down and quietly appreciate the significance of Christmas and be refreshed by the company of the One whom the holiday is about.